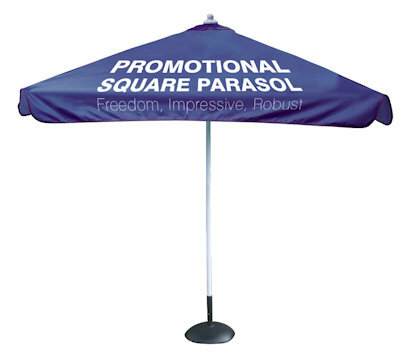 Ideal for outdoor events these promotional umbrellas come with a winding handle for easy opening and closing. There is a safety chain and pin to prevent accidental closing. The parasol simply clicks into place when fully opened. Carry bag is included in price.